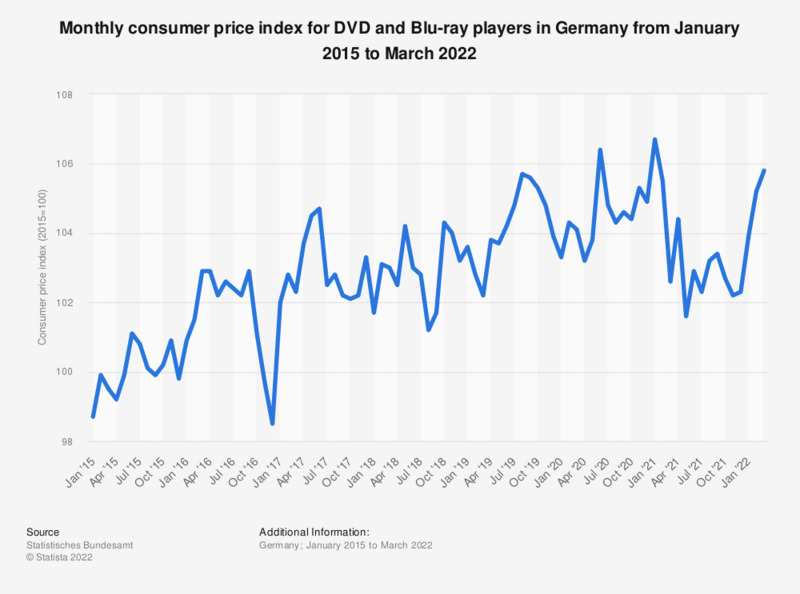 This statistic shows the development of the monthly consumer price index (CPI) for DVD and Blu-ray players in Germany from January 2011 to October 2018. The base value (100) is defined as the consumer price in 2010. In October 2018, the CPI for DVD and Blu-ray players was 77, indicating a decrease of the price in respect to the baseline value. In early 2013, the figures provided by the German Federal Statistics Office were re-oriented to the base year 2010 (=100). All previous values were adjusted retroactively. The data can be accessed in the online database of the German Federal Statistics Office (table code: 61111-0006).